I have to say I am rather upset to see this. 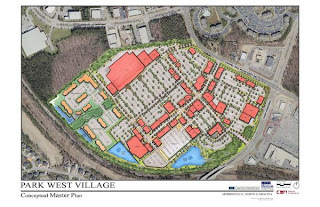 Not that i'm suprised because of the ridiculous amount of growth that is going on in Morrisville. I heard there are going to be no trees left there an I believe it. Recently I saw this in a news article and its rather depressing. 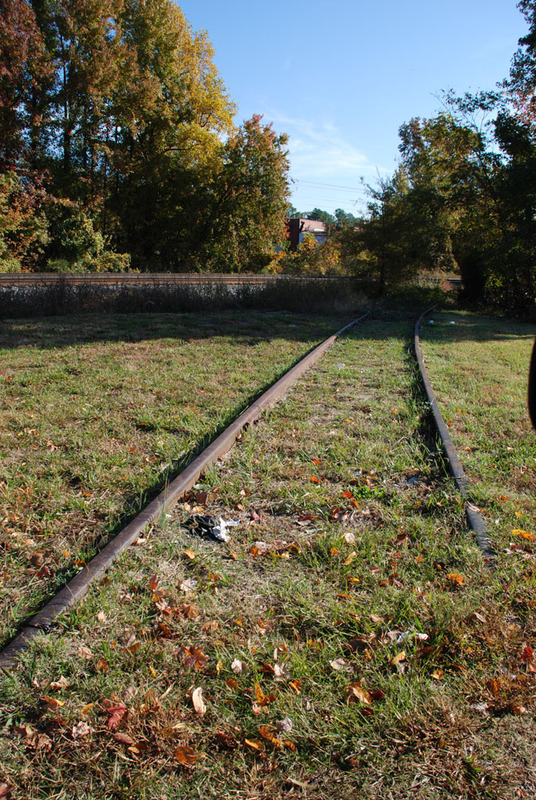 I large section of an area that I use for walking/railfanning is going to be used for a retail development. I hate that they are doing this but I guess there isn't much we can do. Castro Lifestyle Properties is developing this section of Morrisville that I have visited many times. I hate that its going away. Cary, NC is a nice place to go because its quite, and more importantly, its close to where I live. Sunday's are pretty lite on traffic buy you can usually see an Amtrak and a freight train. Today wasn't a very fun day to go because it was pretty cold so I didn't stay forever. I did catch the Amtrak 80 though. I worked on the webpage some more. I also got a lot of help on SEO which I really appreciate. I think I'll work on the forum some more though, it still needs work. http://www.rtprailfan.com now has a forum for people to chat about railfanning in our area. It can be reached at http://www.rtprailfan.com/rtprailfanforum/ . Feel free to stop by and chat for a while, leave a picture, etc. I'm still setting it up but the basic stuff is up and running. And what better way to spend a vacation than doing some railfanning. Actually I will only probably get in a day of it with all the other things I have to do. Oh well. My railfan site is making progress each day, although I have taken a bit of a break recently. I need to get the title navigation bar working and the site map built but other than that I think its pretty much laid out. For my railfan site, I want to have it be interactive for users. The way the site is set up is you have articles and every article has a description of what you saw and what the area was like. Along with this you have a picture gallery and a google map to show exactly where it is. I am going to create, somehow, a main page that is just one big google map with place markers. Every place marker will pop up a balloon when you click on it and the balloon will have a link that goes to the article. I think that will be really cool for seeing railfanning locations around you. The problem right now is getting traffic to the site. Time to do more search engine optimization. On a different subject, I think the railroad people must know I sit out and railfan at lunch because I haven't seen a train in more than a week and a half. Its getting old, I think I'll have to switch times. Finally, I have something to show for my effort. http://www.rtprailfan.com is sorta finished. I have some bugs and some of the links don't link to anything but I have the main page up and 3 articles. Hopefully I can get the last of the articles that I wanted to do completed soon. I took a break for a while, had other things going on. In antenna news, I got my Smiley antenna tuned to 160 MHz in. Its pretty nice, I can definitely hear more of what is floating around the airwaves than I could with my Diamond. I think I heard the dispatcher in Raleigh the other day but that my have been a fluke because I haven't heard anything recently. I also have a mag mount for my car that helps when I'm driving around. Pretty nice. Well thats about all thats happening. I should have more of my website together soon! Now that I have a good idea of what the rtprailfan site will entail, I think I'm going to start trying to get the rtp area things to do site together. Although, I'm not sure what I'm going to call it yet or even exactly what the content will be. I'd like to do something similar to the railfan site, something with interactive maps and good photography. Maybe something that includes outside/inside activites, places for couples. Any one have suggestions for what they would like to see? I wonder how difficult it will be to get any traffic to this blog. I've been reading about keyword association with your site and it seems difficult. I guess it just takes time. I'm still working on my website but its slow going. I don't know how to use the programs very well so there is a very steep learning curve. I'm still trying to figure out how exactly I want to lay it out. I'm thinking if I can just get the page overview together, I'll go ahead and launch it. On a different subject all together, I'm still waiting on my mag mount antenna with BNC connector. I also got a 5/8 wavelength antenna custom build for 160 MHz resonance frequency. I'm hoping this will do much better than my Diamond antenna hooked to my scanner in the car. I just don't think I'm getting the range I'm supposed to be getting. 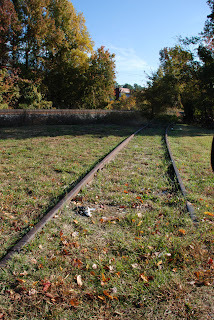 Went out at lunch today looking for trains in RTP, no luck. 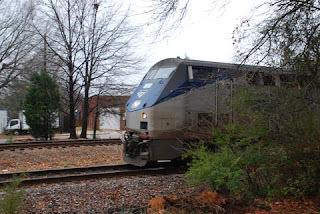 I'm probably biting off more than I can chew here but in addition to my railfan website, I want to create one that highlights things to do in the Research Triangle Park area. I'm still trying to figure out what that will be about but I'm thinking something that links video/photography with google maps and a good description of what there is to do. Well it took me about 5 hours but I got the flash portion of the website done. It was fairly difficult for such a small bit of the website but i think it was worth it because it looks pretty cool. Hopefully I will get the video portion of the website up soon. Then I can focus on content instead of layout.